Last month, our team received a very thoughtful gift from KINDSnacks. In addition to the many delicious (and healthy!) 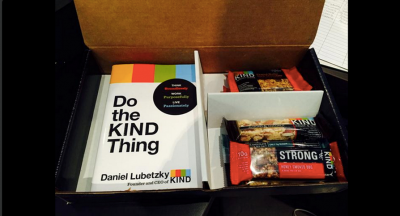 goodies, the box also included a few copies of KINDSnacks’ CEO Daniel Lubetzky’s new book, Do the KIND Thing. I read Lubetzky’s book, and I’m here to tell you why you should, too. It will teach you that you don’t always have to compromise. Early in the book, Lubetzky introduces the idea of thinking with “AND.” You can have a snack that tastes good AND is good for you, which is one of the fundamental values of KINDSnacks. But you can also apply it to your daily life. You can be successful professionally AND show empathy and kindness to those around you. There is a sort of grace that is associated with compromise. But every once in awhile, why can’t you have it all? Why can’t you have this AND that? It could be your roadmap to building a lasting company culture. Core values can be different for every business, and they may even evolve over time. 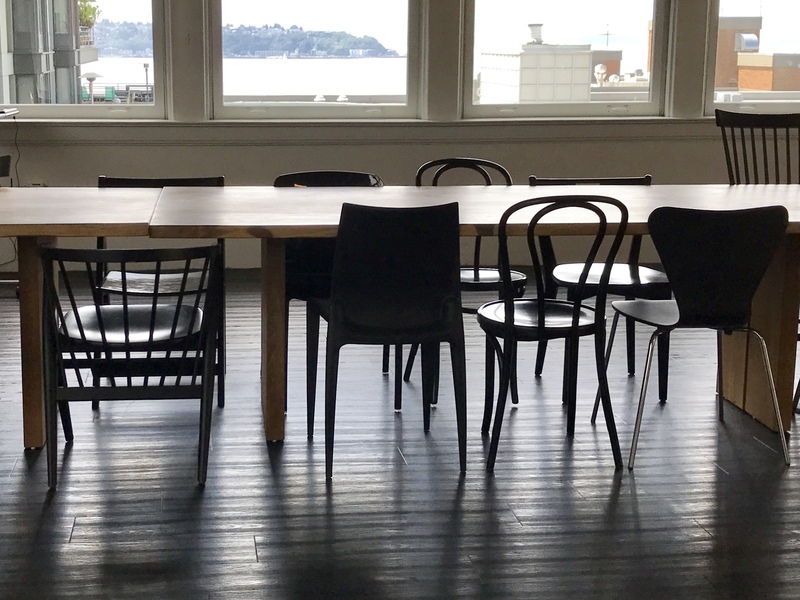 At thinkspace, our team recently spent some time revamping our own core values to make sure they represent the culture we are cultivating every day. But the ten tenets outlined in Do the KIND Thing can be a great jumping off point, a source of inspiration or a guideline for creating a culture that encourages success as well as kindness and generosity. Speaking from experience, when you’re an undergraduate pursing a degree in creative writing, your mantra may well be, “Show, don’t tell.” For Lubetzky, this is when his story shines brightest. KINDSnacks is on a mission to prove that companies can be financially successful as well as—well, kind. And this book can show you how it’s possible. Two things: 1) I think it’s awesome to read some positive press in light of the recent accusations against KIND and the bars’ healthfulness. 2) I appreciated the viral marketing approach that KIND did. Without receiving the boxes of goods in the mail, this book summary wouldn’t have materialized! I live my life in an attempt to always to the “KIND” thing, so I, for one, appreciate the brand sentiment. I loved the box that KIND sent us! It’s nice to see a company marketing itself by way of generosity. It made me really want to read this book! I agree, Chantel. It was really refreshing to see Lubetzky’s drive to create–and maintain–a “not-ONLY-for-profit” corporation. You can run a financially viable business AND help make the world a better place, one healthy and delicious snack at a time! It is amazing ho this company not only is capable of making their employees feel valued but their customers feel appreciated as well. I recently got another package from them with a sticker reading #yourKINDawesome with two of their newest flavor bars. They are always looking for ways to encourage a healthier and more fulfilling lifestyle and it is inspiring. KINDSnacks is a great company and I can’t wait to see what they do next! Thank you for the review, Kate! It feels great to create ongoing relationships with companies like KINDSnacks. And I agree, it is amazing to see how they are so in tune with both their employees and their customers. They have created a pretty loyal following! I think for so long society has attributed kindness to weakness. It’s great to see a company that views it as a not only a strength but also the most important company core value. After reading this it really inspired me to read and this book is fantastic!